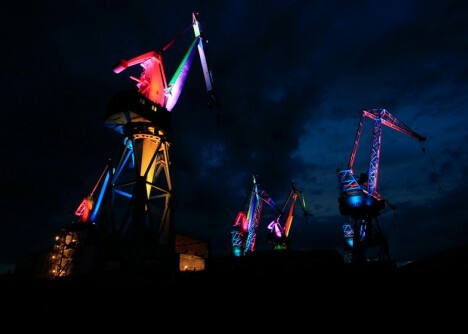 The imagination readily fastens onto the anthropomorphic figures like those found in shipyards, turning looming metal giants into huge toy beasts, origami cranes writ large. 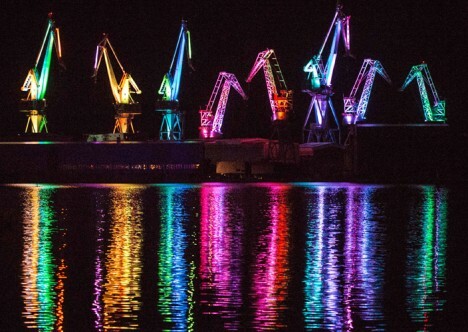 Lighting designer Dean Skira takes things a step further in this public exhibition titled Lighting Giants, using nearly 100 RGB LEDs to produce an array of colorful effects at a massive scale – 16,000 different possible hues in total. 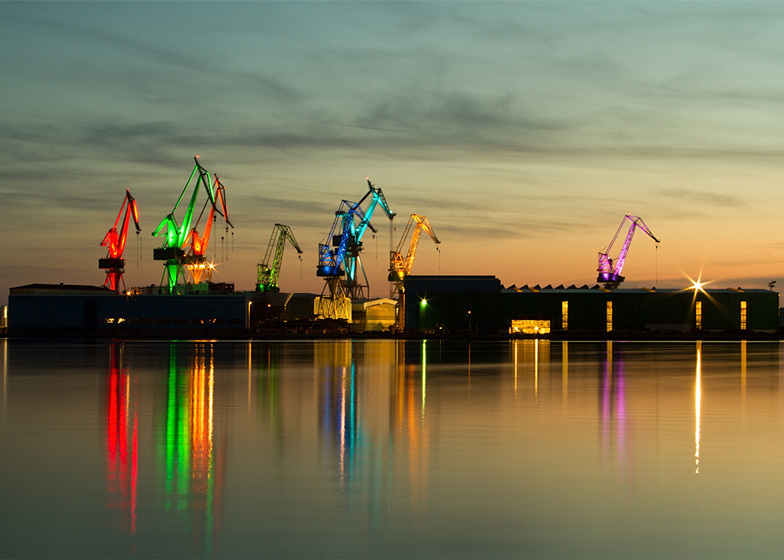 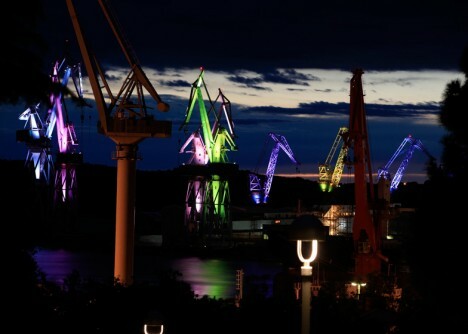 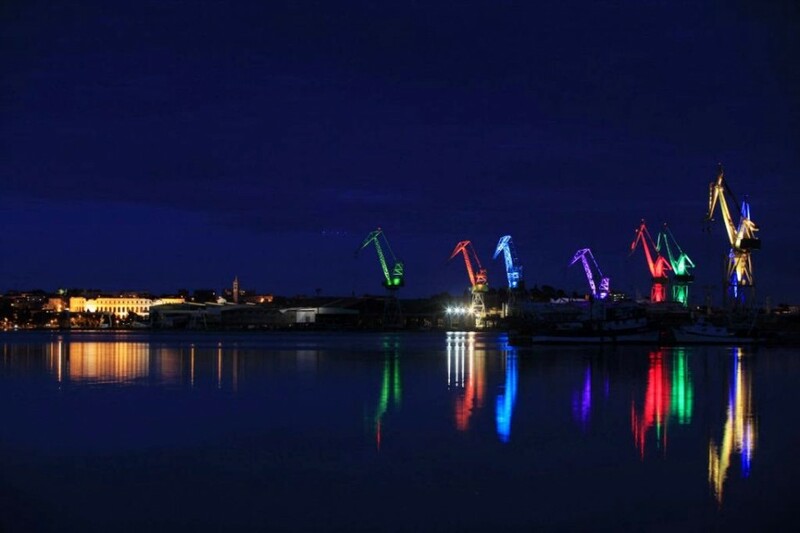 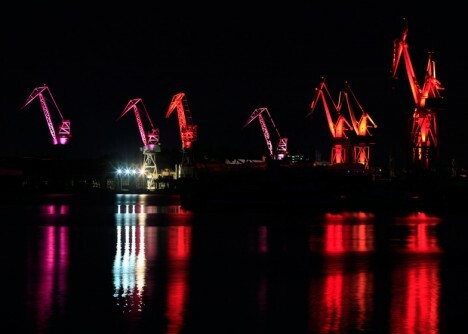 Located in a major Croatian shipyard, the show involves a shifting spectrum of illumination that ranges from pure white to wild rainbows, all directed up into the rugged frameworks of industrial monstrosities. 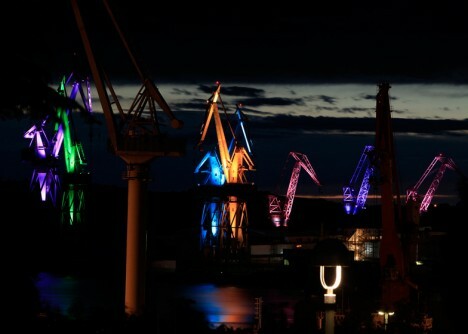 The installation, funded by the ministry of tourism, was in part a response to calls for the relocation of the shipping infrastructure, seen by many as an eyesore. 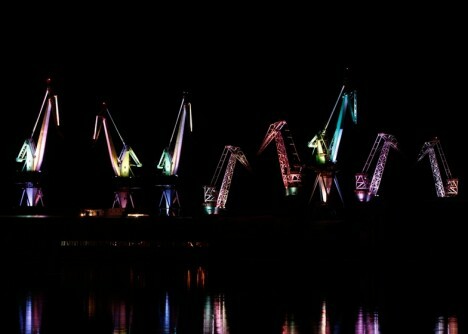 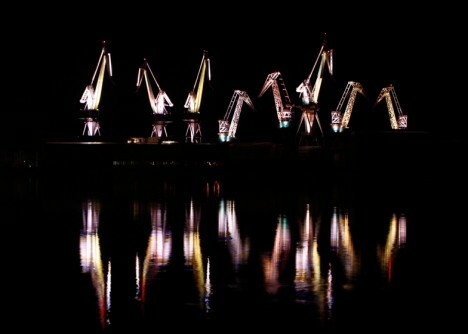 Instead of doing away with the cranes, a part of local industry and history, this work celebrates and highlights them.